The bidirectional sensor interface BiSS has established itself as a global open-source standard in the field of drive technology. 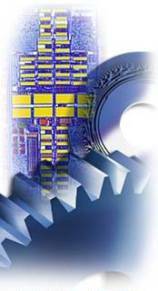 The range of applications spans from motor feedback and servo drives to motion controllers and position encoders as well as manufacturing robotics and CNC machines. The drive specialist FAULHABER has been actively involved with the open-source interface since the beginning. 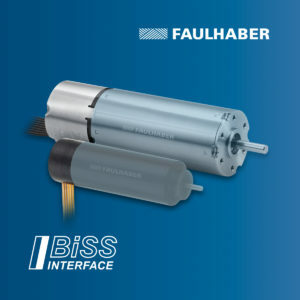 Miniaturised drives whose encoders communicate with the corresponding motion controllers via BiSS-C have been used successfully for years. It is therefore only natural that the drive specialist was among the founding members of the BiSS Association e.V., which was established in September 2017. As a digital and bidirectional interface, BiSS offers numerous advantages for absolute measurement systems: with its high transfer rate, it is ideally suited for dynamic axes with high accelerations and for uniform speed control with high positioning accuracy. Because the BiSS interface transfers the interface signals differentially, a high transfer reliability is achieved. Furthermore, the standardised interface can be implemented cost-effectively in applications because there are no licensing fees. Also decisive for the manufacturer of microdrives is the fact that the compact chips can easily be integrated, even with miniaturised absolute encoders. For example, the AES magnetic absolute encoder – specially designed for use in brushless DC micromotors – came onto the market in 2010. This was then followed in 2013 with the AESM series: very compact absolute encoders which fit even on miniaturised, brushless DC drives with a diameter of just 8 mm (figure below). For the future, the new BiSS Line in 1-Cable-Technology transfer technology offers further potential for miniaturisation. With this, only 2 instead of 8 signals are needed for the sensor interface, and data from other sensors, such as from integrated temperature sensors, can also be transferred.